I think I'm on the right track with this one based on some research and another post I found in the forum. 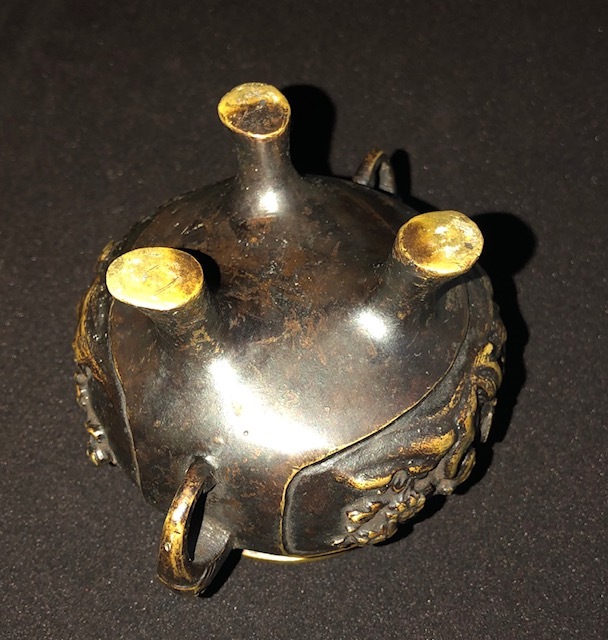 I think this is a Meiji period censer. There is no mark but there are signs of age. I had actually started cleaning it but luckily it was very dirty because I just read here that clues to age are sometimes lost when the item is cleaned or polished. 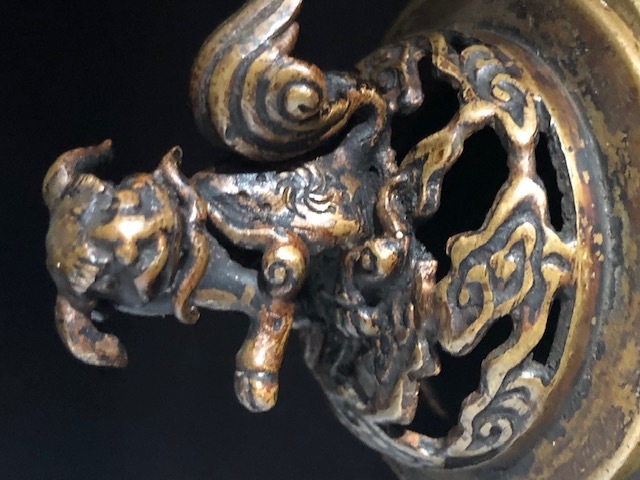 The swirly design (forgive my ignorance) on the side of the shi shi and the clouds? 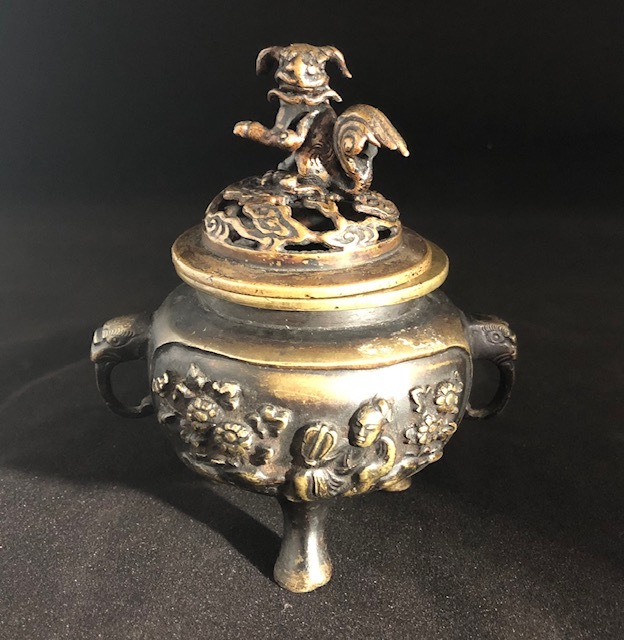 are almost identical to another censer in a post from several years ago. Please let me know if I'm on the right track or way off the mark. The censer is about 5 inches tall and wide. I have never seen dirty items in a good Museum. perhaps the dirt is hiding something which a seller does not want you to know? That definitely makes sense Ernest. I purchased this thinking it had Chinese characters on the side of the shishi because that was the description given. But I'm thinking items are only displayed in museums after identification and an approximate determination of age. Since I have neither I didn't want to remove any "clues" by cleaning the item. Do you have an opinion about the age and origin? Thanks Ernest. Hopefully someone else will respond.